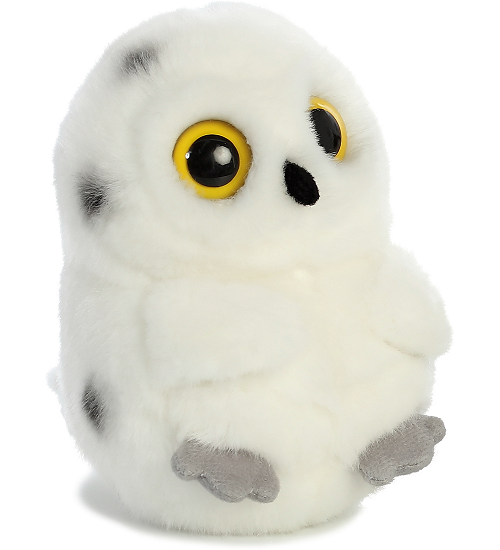 Hoot, this adorable little plush snowy owl, is part of Aurora World's Rolly Pet collection and loves to sit or relax in a rolled back pose. 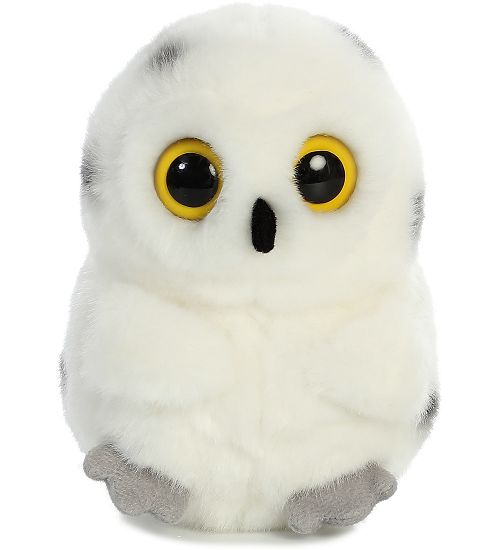 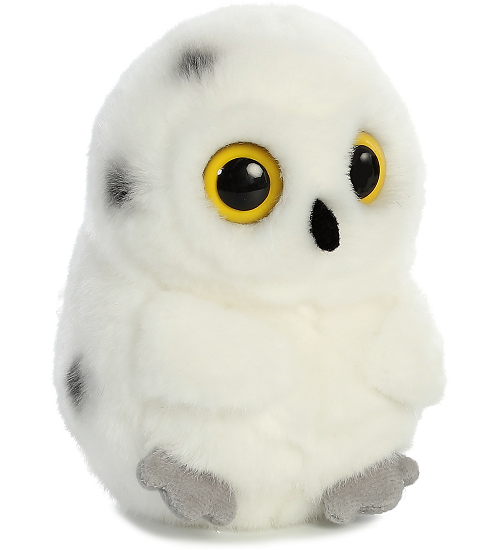 With a huggable body of soft white fur with black spots, gray feet, black beak, big yellow eyes, and little wings folded across his tummy, this Rolly Pet Hoot owl stuffed animal is the perfect size to fit in the palm of your hand and accompany you on imaginative adventures. 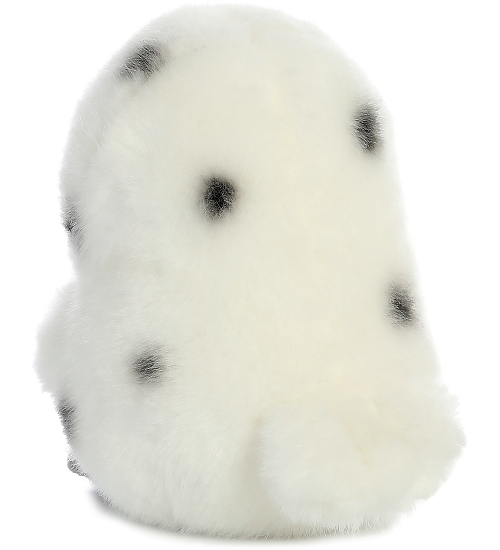 Huggable plush panda, Precious, has soft black and white fur, light pink paws, and blushing cheeks.